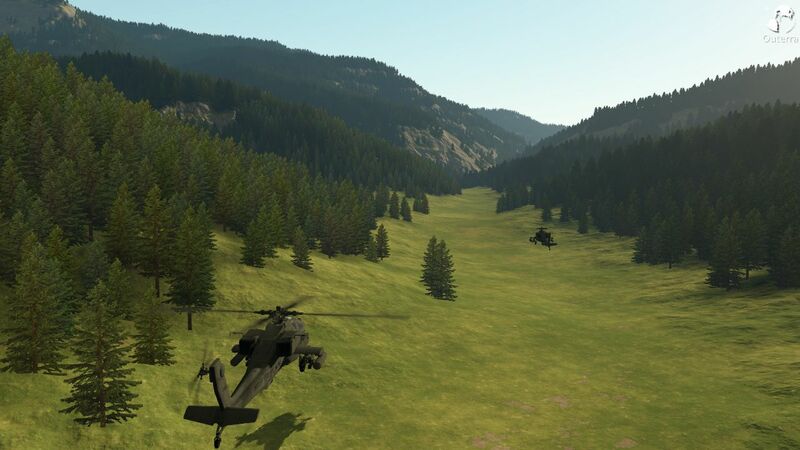 The promised video with Apache AH-64 helicopter is here. OK.. Were you flying the filming craft or angry pig. Just want to know who pulled that suicide landing at the end. Edit: Perhaps you and I can also have a long discussion on video encoding for Youtube. Not sure why the slow moving still textured parts interpolate so bad I think your bitrate or the fast moving shadows over the body are causing it. May be time for my encoding tutorial to be made. Let me try to prepare the original video for download here, I don't know what ugly machinations Youtube is doing to it .. The shadow looks quite deformed, there's rough terrain down there. I can't think of any other cause. Only thing off the top of my head that I can figure is causing that is the video isn't XXXXx720 and YT is resizing it down. Well I can't really blame Youtube on this one. From what I can see on the AVI you linked.. Your video itself has issues. I think just the way the game is rendered is causing the most damage. I know your using OT's built in recorder so that MAY be the issue but more likely its just the way the shaders are causing insane pixel fluctuation. Go back to the heli in-game and take a screenshot similar to the closeup I posted above. 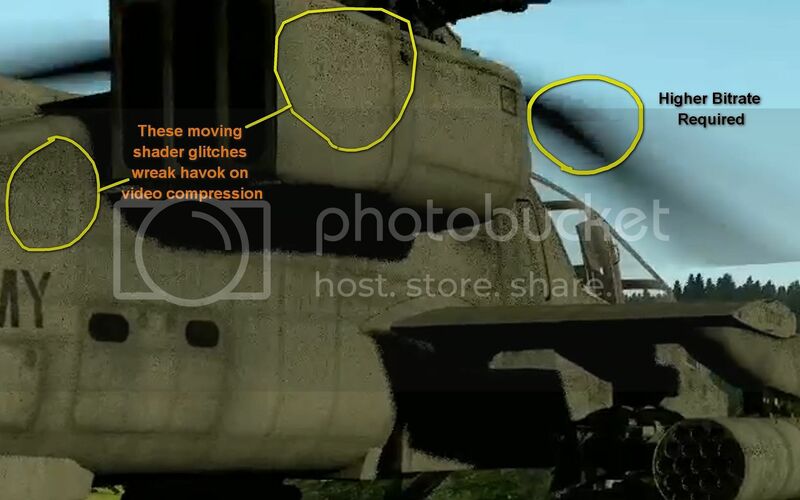 Rotors spinning, similar lighting etc. If those blocky shaders are still there then it isn't your recorder. Although I would like to see the difference/performance hit recording with FRAPS would incur. Truly amazing. What's the name of the soundtrack? Now I see what you mean - the problem is with the shadows. Shadow blurring pass is still not present, and the noise from the shadow algorithm is causing problems for the encoder. The soundtrack was assembled from loops of Final Mission track by ibaudio.com (production music).